The wheels here are the new Vossen VFS-2s, which are built using flow forming technology that allows for a greater range of widths. 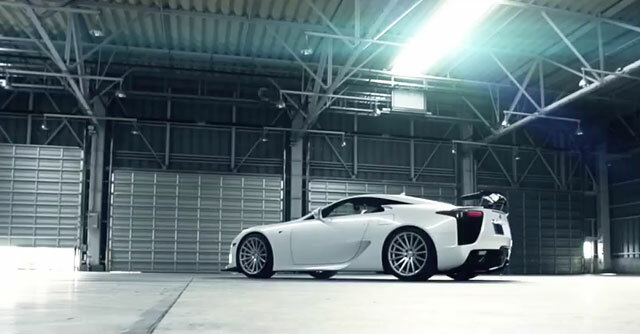 The LFA is running with 20×10.5 up front and a 20×12 rear for the maximum concave look. Yong Thian Ding: Awesome video !